Safety is at the heart of everything at ISP. 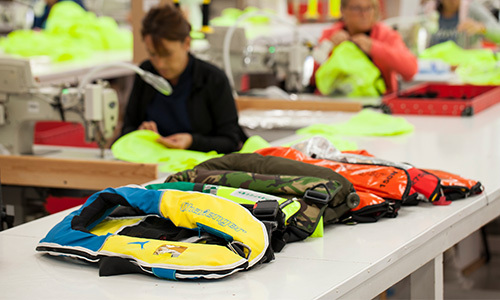 We design, engineer and manufacture inflatable lifejackets of the highest performance and quality, giving peace of mind that if disaster strikes you have the best possible protection available. We have built our reputation with 34 years of engineering experience gained in military, commercial and leisure markets combines with continuous product testing in the most extreme and hostile seascapes imaginable. This with the most rigorous in house and lab testing drives market leading innovation, leaving you wearing the most highly developed and reliable lifejackets on the planet. ISP’s range of bladders includes the unique patented interlock bladder design with Wave Barrier Technology. The design is the culmination of years of design expertise and knowledge working in tandem with test houses and approval bodies. The bladder delivers a sub 5 second super-fast turn speed placing the wearer on their back with airways raised clearly above the waterline delivering maximum freeboard. 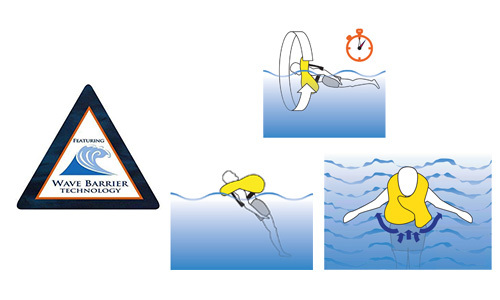 The two lobes of the bladder overlap in the middle creating a resistant Wave Barrier keeping the wearers airways clear of the water and massively reducing the risk of secondary drowning. The majority of International Safety Products lifejackets are AIS compatible, meaning they are ready to be paired with most approved AIS man overboard devices. 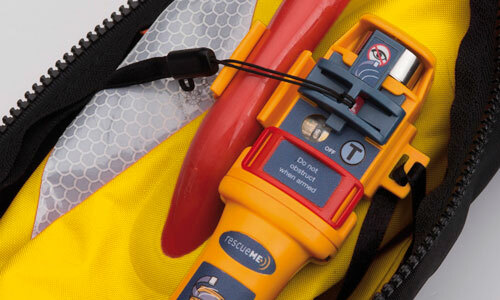 When a lifejacket inflates with an AIS MOB device fitted, the device will automatically activate, transmitting an alert to all AIS receivers and AIS enabled plotters in the vicinity. 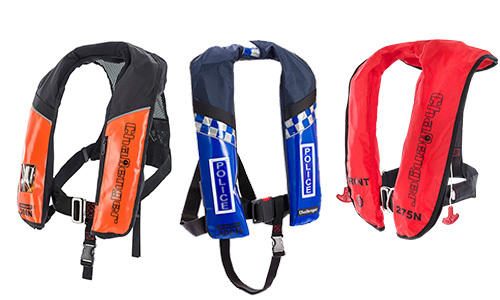 In the 2019 Challenger range, ISP has developed a consolidated range of commercial marine workwear lifejackets which carry all the relevant approvals and accreditations. This gives our customers the assurance of safety when operating in demanding and often hazardous situations. The interlocking lobe design used provides in-water protection by channeling water and spray away from the wearers airways, whilst optional AIS integration will increase your chances of a quick recovery, should the unexpected happen.